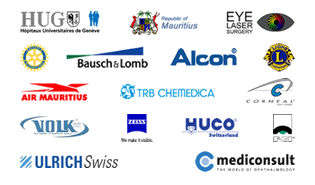 The Board of Foundation would like to express its gratitude to all those, family, friends and colleagues of the Clinique de Montchoisi in Lausanne, who generously donated to the T.E.S. Foundation in respect to Aboo’s wish. Your support will help us pursue the mission Aboo has contributed to for the people of his home country in Mauritius. Sadly, on June 24, T.E.S. Foundation lost one of its senior members, Mr Abobaker Moossajee, RN. Aboo was his name for his family, colleagues and numerous friends. Born in Mauritius in 1937, Aboo left his home country at the age of 21 to attend School of Nursing in England. He moved to Switzerland in 1975 and lived in Lausanne where he performed as scrubnurse in ophthalmolgy working at the Jules Gonin Hospital with Prof Michel Gonvers and Prof André Mermoud, and at the Clinique Montchoisy. During his one week stay in Mauritius, Dr Cyrus Tabatabay perfomed 30 complex vitreo-retinal surgeries and examined 135 patients. “Working and sharing expertise together with the Moka Hospital medical team is a very interesting and rewarding experience”, says Dr Tabatabay.